The Ladies Who Lurch: Why Do Working Women Drink More Alcohol? Well, ladies, as you reach for that holiday drink of choice — mulled wine, Christmas punch, or spiced eggnog, perhaps? — you might want to think twice. A new study in Europe shows that highly educated, professional women drink more often and more heavily than almost any other female group. Today I’m over on PoliticsDaily.com talking about what the data show and why working women might be hitting the bottle especially hard…have a look. 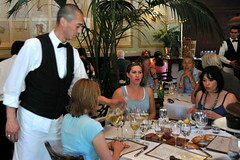 Image: 2008 04 -12-05 Lunch at Bouchon – 13 Waiter and Table of Ladies by Bewarenerd via Flickr under a Creative Commons License. Not sure how much home drinking by women has increased — has always been a real & much hidden problem. Deniability factor always huge. Certainly female public drinking has grown by leaps & bounds, but how much total female alcohol use & abuse has increased is, I suspect, problematical.